Geoffrey de Mandeville, 1st Earl of Essex, founds a Benedictine priory at Walden, which becomes Walden Abbey in 1190. The abbey is suppressed by Henry VIII and granted to Sir Thomas Audley, Lord Chancellor. He transforms the abbey buildings into a mansion. Audley's grandson Thomas Howard, 1st Earl of Suffolk, rebuilds the house, making it the largest private residence of its day. Charles II buys Audley End, which is handy for the Newmarket races. The Earls of Suffolk become keepers of the new palace. The house is returned to the Howards, and gradually reduced in scale to make it more manageable. By 1725 only the inner court remains. Elizabeth, Countess of Portsmouth, inherits part of the estate, and buys the house from Lord Howard of Effingham. She saves it from decay and reduces the house even more, demolishing the east range. Elizabeth's nephew Sir John Griffin Griffin, a professional soldier, inherits. He employs Robert Adam to modernise the house and 'Capability' Brown to remodel the gardens and park. Sir John becomes 4th Baron Howard de Walden and creates state apartments, taking a leading role in their design together with his wife, an accomplished decorator. Richard Neville, 3rd Baron Braybrooke, inherits. 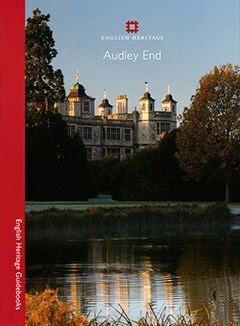 He remodels the house to restore its Jacobean character, and publishes a history of Audley End in 1836. When the 4th Lord Braybrooke inherits, he begins to redisplay his extensive natural history collections at Audley End, where they remain today. The house is let to Thomas Ellis, 8th Baron Howard de Walden, who enlivens it with great parties. After Ellis and his wife leave, convinced that the house is haunted, the 7th Lord Braybrooke returns to Audley End and it becomes a family home once more. After the 7th Lord Braybrooke's death, Polish soldiers of the Special Operations Executive secretly train here, preparing to be parachuted into German-occupied Poland. The 9th Lord Braybrooke sells Audley End to the nation for £30,000, leaving the pictures and furnishings on loan. English Heritage takes over guardianship. Recent restoration has focused on the kitchen wing, stables and Braybrooke nursery suite.